Tag Archive | "Ziba Mir-Hosseini"
In celebration of International Women’s Day, Nonviolent Initiative for Democracy is proud to present a lecture by Dr. Ziba Mir-Hosseini on “The Politics of Gender and Democracy in Iran: Between Rights and Honor.” Since the 1979 Revolution, Iranian politics has conventionally been viewed as a polarized conflict between ‘secular’ and ‘Islamic’ ideologies. Dr. Mir-Hosseini argues that this perception has masked the real battle: despotism and patriarchy versus democracy and feminism. In this light, Dr. Mir-Hosseini re-examines the course of the 2009 presidential elections and their aftermath. This event is in English, free and open to the public. 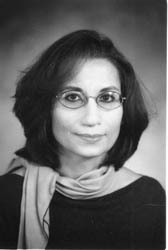 Dr. Ziba Mir-Hosseini (www.zibamirhosseini.com) is a legal anthropologist, specializing in Islamic law, gender and development. She has a BA in Sociology from Tehran University (1974) and a PhD in Social Anthropology from University of Cambridge (1980). A Professorial Research Associate at the Centre for Middle Eastern and Islamic Law, University of London, she has held numerous research fellowships and visiting professorships, including Fellow of the Wissenschaftskolleg zu Berlin (2004-5), and Hauser Global Law Visiting Professor at New York University (2002-8). She is a founding member of the Musawah Global Movement for Equality and Justice in the Muslim Family. Her publications include Marriage on Trial: A Study of Islamic Family Law in Iran and Morocco (I. 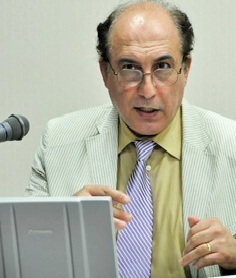 B. Tauris, 1993, 2002), Islam and Gender: The Religious Debate in Contemporary Iran (Princeton University Press, 1999), Islam and Democracy in Iran: Eshkevari and the Quest for Reform (with Richard Tapper; I. B. Tauris, 2006), Control and Sexuality: the Revival of Zina Laws in Muslim Contexts (with Vanja Hamzic; Women Living Under Muslim Laws, 2010), and Gender and Equality in Muslim Family Law: Justice and Ethics in the Islamic Legal Tradition, edited with Lena Larsen, Christian Moe and Kari Vogt (I. B. Tauris forthcoming April 2013). She has also directed (with Kim Longinotto) two award-winning feature-length documentary films on contemporary issues in Iran: Divorce Iranian Style (1998) and Runaway (2001).